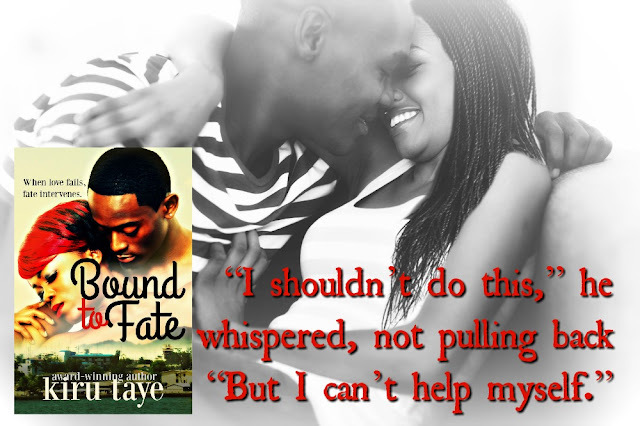 Bound to Fate Excerpt © Kiru Taye 2016Lara stood in the middle undoing her shirt, her fingers working buttons through each hole in a slow, methodical manner. “You have…” He lost his train of thought as he stared at her naked body. As if he wasn’t painfully hard before. He swelled again.